East Fortune used to be an airship base with R34 and R29 airships. A state-of-the-art interactive R34 airship simulator is to form the centrepiece of a £2m upgrade of a flight museum in East Lothian. The National Museum of Flight exhibit recreates the flying experience of the airship, which left East Fortune on the first return Atlantic flight in 1919. Visitors will also be able to build and launch their own mini aeroplane and to see if they have the skills of a pilot. An interactive wind tunnel, air cannon also feature. It opens on 10 April. The simulator will be part of a permanent display in the museum called Fantastic Flight. There will also be another permanent exhibit called Fortunes of War. They will showcase the secrets of flight as well as the history of East Fortune airfield where the museum is located, from its early years as an airship base, through two world wars and the onset of the Cold War. Fantastic Flight will also tell the story of famous aviators including the UK's Sheila Scott who broke over 100 world records during the 1960s and 70s and Scotland's James Tytler who made Britain's first manned hot-air balloon flight in Edinburgh in 1784. Historic objects featured within the exhibition include the Wright engine, which dates from 1910 and was donated by Orville Wright. Fortunes of War builds on the World War II character of East Fortune airfield and tells its story and that of the people who worked there. 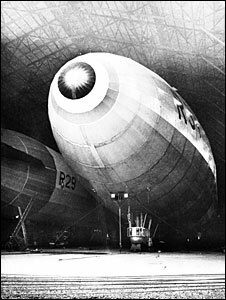 Originally developed during World War I as a Royal Navy Air Station housing an assortment of airships and aircraft, East Fortune's position close to the Firth of Forth was of huge strategic importance. It continued its active service throughout World War II and remained on standby in the Cold War years in case of war in Europe. Through a mix of recorded interviews, archive film footage and photographs, maps, models, historic objects, aircraft wings, uniforms and equipment, Fortunes of War will showcase the airfield's journey through the 20th century, looking at the jobs, duties and personal stories of the men and women who served there, and the airships and aircraft they worked with. A 1954 Bedford Green Goddess fire engine, an RAF Matador heavy haulage vehicle dating from World War II and a World War II Jeep are also being added to the museum's exhibits. For children aged 8-14, the museum will also open a new assault course. Dr Gordon Rintoul, National Museums Scotland director, said: "This £2m investment represents our belief in the immense potential of the National Museum of Flight which is already a much-loved attraction. "These latest developments will bring to life the fascinating history of this exceptional site, as well as highlighting the compelling story of flight using some of the latest state-of-the-art technology." From 1 April, all children will have free entry.